The town of Melrose packs a lot into a small space. 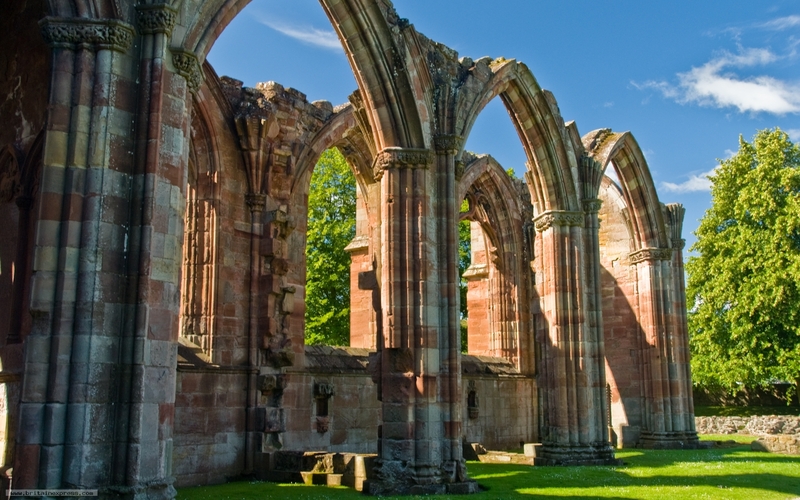 At the centre of the town stand the atmospheric ruins of Melrose Abbey, one of the great medieval monasteries in Scotland. I absolutely loved the abbey; even though the red sandstone has suffered over the years from the effects of wind and rain, the architecture is simply marvellous.